Word in Sadrith Mora is that a brawl erupted between two parties of armed men over a runaway Argonian slave by the name of Sun-On-Shade. One party consisted mostly of westerners: Bretons, Redguards, and a Bosmer, accompanied by a Dunmer woman appearing to have been Morag Tong. The other party were thugs dressed in chitin armor, similar in make to the Morag Tong, armed with steel weapons and crossbows. The outlanders survived, though nearly all of them were wounded. Among the thugs, all but two were killed. Sun-On-Shade, despite taking a crossbow bolt in the arm, manages to escape. Townsfolk upon approaching the thug corpses would identify a few of the faces as being Camonna Tong, gangsters recently turned to kidnapping and enslavement of outlanders in part of their new leadership under Ulvan Dres. But what intrigued Sadrith Mora more however, were their arms... specifically the crossbows. Why would the Covenant arm thugs with their arms? Why dress them as Morag Tong? The magisters conclude that so long as whatever bloodshed that may happen do not boil over into Telvanni lands, this was not their business. Another kidnapping has happened about two days ago. Although a street brawl broke out, no one knows who we're battling the kidnappers, which according to eyewitness reports of the thugs fleeing the scene, they were Camonna Tong under the control of the exiled lord Ulvan Dres. Some had speculated that they fighting the Thieves Guild, what they wanted from the Camonna Tong remains unknown. Regardless, the Camonna Tong managed to kidnap a young Nord by the name of Erik Treebane, a woodsman employed by the Tribunal to work on the construction of Vivec City. Ordinator Devran Norvas was spotted in the Suran marketplace today raising awareness about the kidnapping incidents happening in and around Vivec City over the past few months. Devran has been investigating these kidnappings for months now and is inching closer to the truth. Right now, he aims to find this infamous "Thieves Guild" from the west and learn what they know of this syndicate of the Cammona Tong. Rumor is that several travelers and pilgrims have disappeared on the roads north and east of Suran. 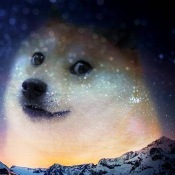 Many suspect that the likes of wild beasts or ashlander exiles are responsible. Few believe that the tales of an undead horde roaming Molag Amur are real. Still the small search parties that have set off to find those missing have not returned. Perhaps the rumors of a greater and ravenous threat are indeed true. A force now rallies in Suran to face off against whatever foe threatens the surrounding region. And apparently they're accepting any help they can get. 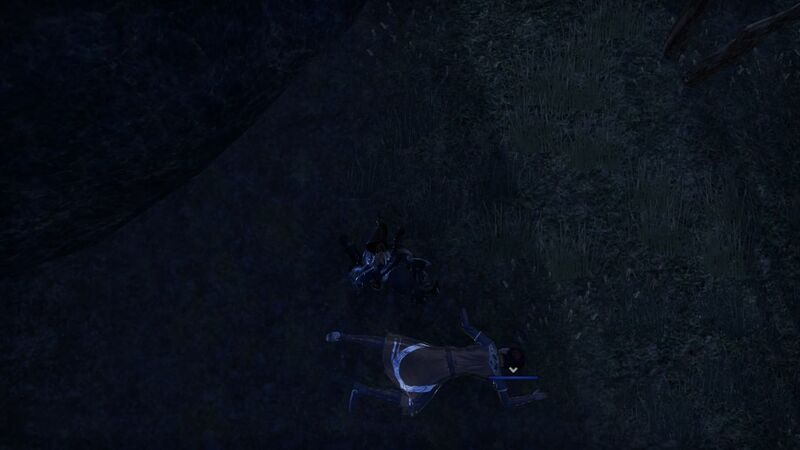 Lady Savra of House Telvanni was found dead this morning outside of the canton of Molag Mar. 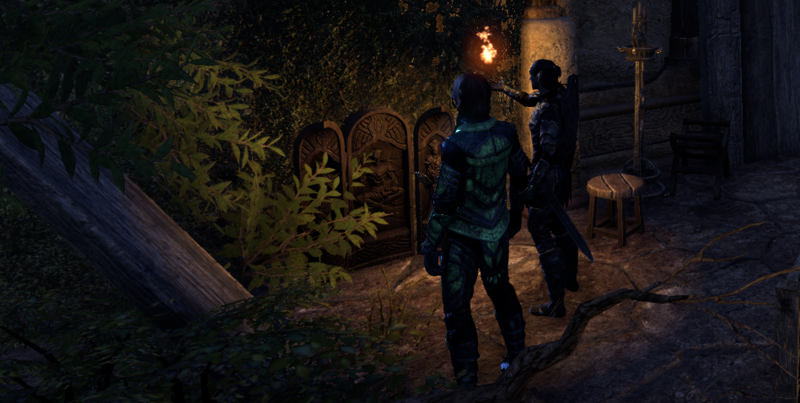 Ordinator Devran Norvas rushed to the scene of the crime after writing an incident report prior to the murder. 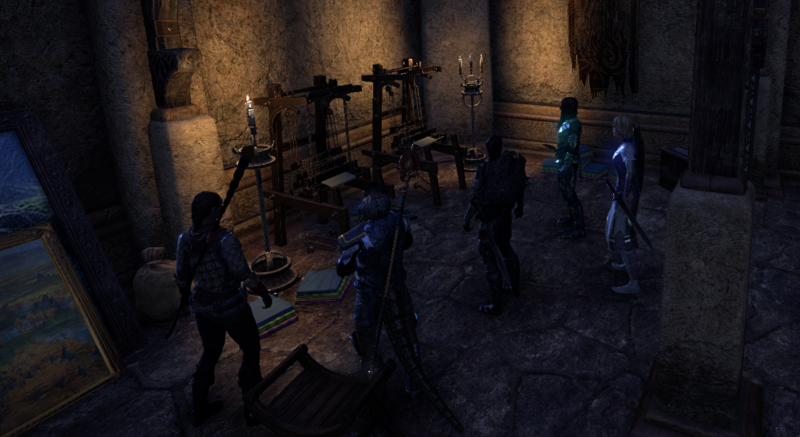 There is currently an investigation being launched between the Ordinators and Buoyant Armigers over the murders. Rumors speculate that two individuals named by Savra in her final words, are the known suspects. Mildren Nylas, the assassin in question. No one knows as to who his allegiance belonged to. Her cousin, Balisar Dulavo of House Telvanni, lord of Tel Khes. She claimed that he was responsible for the assassination on her life. 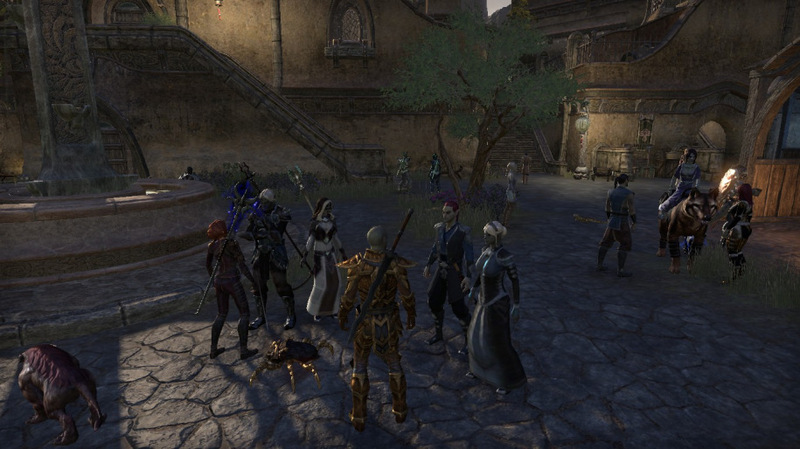 A funeral service is being prepared in Molag Mar for lady Savra Telvanni . Her death be made aware by her family and will likely be held by the end of the week. Two Thieves had managed to break into the estate of Sildras Relnor, a nobleman of Great House Indoril and a priest of the Tribunal Temple, outside Vivec City. Nothing was stolen save for two-hundred fifty gold stored in a extremely secured safe and a few documents. Earlier, it was rumored that Relnor may have been pick-pocketing off donations meant for a local children's orphanage in Suran. The Scarlet Judge visits the temple of Balmora earlier today claiming to have documents proving the misdeeds of the priest Sildras Relnor did in fact steal from the collective donations fund of a local orphanage in Suran. 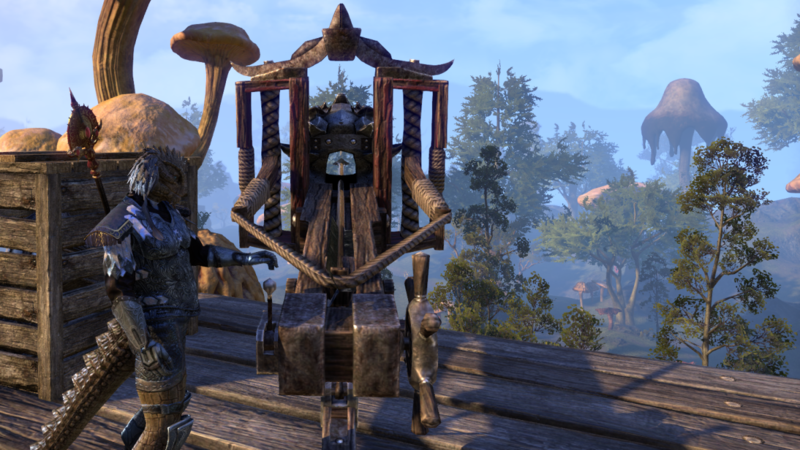 The Ordinator present was Devran Norvas, who has taken the documents under consideration and given the penmanship, it is highly likely that he will be stripped of his standings as a priest of the Tribunal Temple for his greed and selfishness. An ancient stronghold overlooking Lake Amaya has long been the source of infamy and foul rumors. Over the years, the ownership of the keep and its grounds has passed through many different hands. Its location and strong walls make it an ideal base for many factions, and so conflicts over its control frequently transpire. Bandits, smugglers, daedric cultists, and rogue telvanni are just a few of its past residents-- each occupying it for their own ends and each never successfully holding it for long. There are also rumors that an extensive system of sewers and caverns lie beneath the keep, but they have long remained unexplored. The keep's most recent owners were a tribe of goblins, laboring away for an estranged and mysterious leader. They however were attacked by a group of bandits who sought to establish a base of operations in the Ascadian Isles region. During their bloody battle however, a third group appeared, a mixture of Tribunal warriors and their allies which included an odd argonian, a khajiit sellsword, and a wandering nord cleric. It is said they bypassed the defenses at the front gate by entering through a narrow sewer grate, and then defeated both goblins and bandits within after a hard-fought skirmish. With the goblins and bandits routed, the group continued to the upper levels of the keep and came face to face with the goblins' mysterious leader. Some say that no blood was shed between them, and that the goblins' leader was no warchief but instead a dunmer; one that had disappeared to the Velothi Mountains years ago. Regardless of who this leader was, all illegal operations that were taking place in the stronghold were ceased. The stronghold now once again has new occupants who have decided to repair its battleworn grounds and garrison its keep. They have begun to clear the bodies, rebuild the walls, and refurbish its olden interior. While their intentions are more noble than those that have come before, how long they may be able to hold the stronghold is anyone's guess. 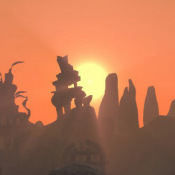 Stil, with the restoration of its Almsivi Shrine, there is hope that brighter days are to come for the both the stronghold and it surrounding region. As the fighting had died down over the stronghold overlooking Lake Amaya, all seemed quiet for the rest of the night except for one incident. A fisherman who had been walking by the stronghold on his way to a nearby Fishermans' Lodge had heard the sound of a ballistae releasing a bolt. He looked up just in time to catch sight of the bolt soaring through the air in the direction of Seyda Neen and Vivec City. Minutes later the should of a Silt Strider crying out in pain was heard throughout the swamps nearby. Supposedly the bolt had struck a Silt Strider carrying passengers to Gnisis. Both the Silt Strider and everyone aboard were found dead just in between Seyda Neen and Vivec. Later into the night a group of Bouyant Armigers were dispatched to investigate the whereabouts of the ballistae. In the evening hours of Sundas a Khajiit garbed only in a towel approached the Ardent Armiger stronghold. A wandering merchant who had been stalking this Khajiit claimed that he looked to be both dirtied and rather fat. This Khajiit was known as a Courier of Dirt to some and had a message to deliver to a mer named Endaros who happened to have his other Armigers with him at the time. The group had spoken for some time and as the courier was leaving he was struck in the head by an arrow that seemingly came from thin air. More arrows followed the first, bombarding the stronghold for several minutes before finally subsiding. The merchant who had been cowering in a bush looked up just in time to see an even more hideous creature. The mud-embodied Argonian sunk away the entrance to the stronghold as if it were clay. The creature supposedly gave the Ardent Armigers a warning, noting this as a threat the Armigers responded and impaled this creature by the name of Mudder with a javelin. However he was unphased by the blow and sunk away into the ground, the flow of mud following with him as he left.